“Symphtml5” – Ensembles – Download – Symphony. 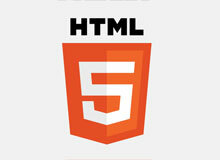 Symphtml5 is a simple HTML5 starter workspace. Its purpose is to take care of repetitive tasks when getting a new project up and rolling. No longer an "Ensemble", just a default workspace/ directory. Removed a lot of other things, making very few assumptions. Now using grunt.js to compile and watch files during development.